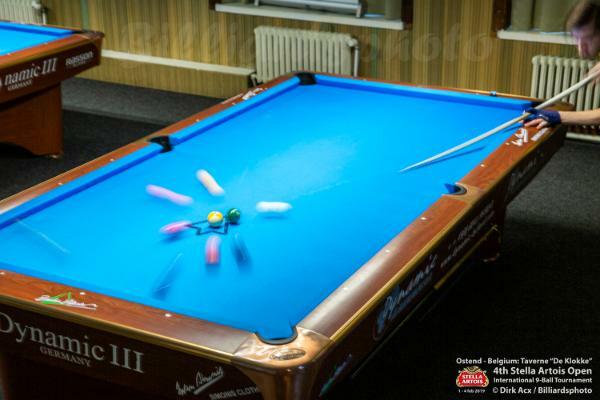 01_04 feb 2019 - Open 9-Ball Tournament Stella Artois. Day 2: Groups H-P qualification rounds. Day 4: 1/8 finals - 16 players remaining. Side event: 16 Players participating for consolidation tournament.